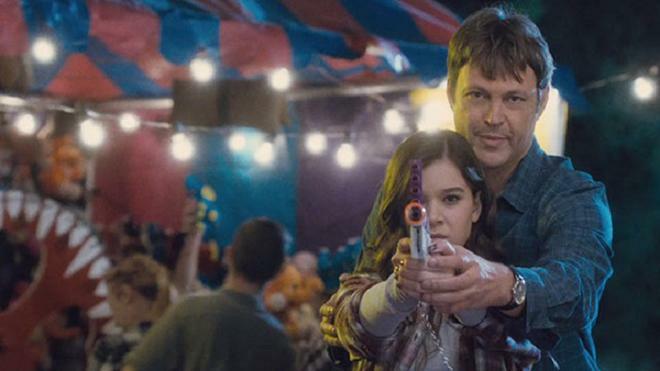 Vince Vaughn and Hailee Steinfeld are hunted by a vengeful mob boss and dirty cops in this action-packed crime thriller co-starring Bill Paxton and Jon Favreau. When the heist he planned goes horribly wrong and he's framed for a drug lord's son's murder, Nick Barrow (Vaughn) must expose the enemies who set him up before they track down and kill him. Taking out a million-dollar life insurance policy to help his estranged daughter Cate (Steinfeld), Nick is forced to take her on the run until the policy kicks in or he finds a way to clear his name. Also starring Terrence Howard and Taraji P. Henson (Empire). Blend in and don't draw attention to yourself. 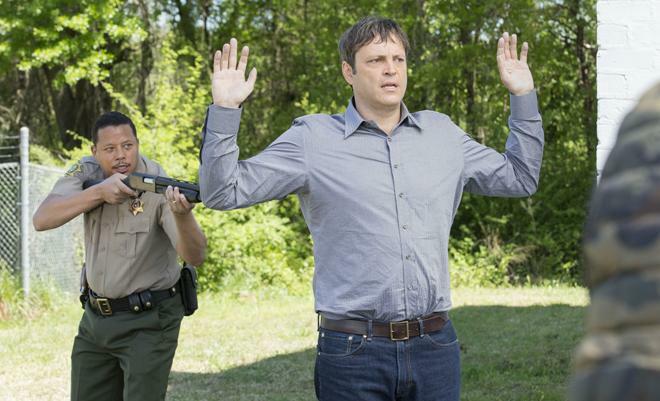 That's part of the advice that career criminal, Nick Barrow (Vince Vaughn), instills in would-be thieves in the crime flick 'Term Life' -- but sadly, it also seems to be a tip that the filmmakers decided to follow a little too closely behind-the-scenes themselves. Like any good burglar on the run, the movie completely disappears into the crowd, liberally lifting clichés left and right from previous genre efforts while failing to forge any kind of unique identity of its own. That is, save for the awful haircut (or maybe wig?) that Vaughn inexplicably sports throughout the runtime. Seriously, look at that shaggy thing on his head -- for a character obsessed with remaining an anonymous face, he sure did pick an unforgettably horrible hairstyle. 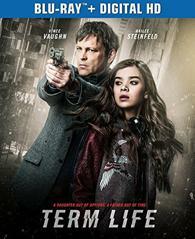 Based on the graphic novel of the same name, 'Term Life' focuses on Nick Barrow, a thief who makes a living selling detailed heist plans to other criminals. But when one of his schemes goes wrong, a crime lord's son gets killed by a corrupt police detective (Bill Paxton). With mobsters and dirty cops all trying to track him down, Barrow picks up his estranged daughter (Hailee Steinfeld) and hits the road, desperately hoping to keep his family safe. Distressingly generic in both visual style and narrative, the movie takes its already familiar premise and refuses to do anything remotely original with it. And even worse, the execution of this by-the-numbers plot is just plain dull and borderline amateur. Take the annoying and exceedingly lazy voice over, for instance. While narration can be employed very effectively (especially in noir-influenced stories like this), here the voice over becomes a text-book example for why the technique is so often criticized amongst film school professors. Periodically, Barrow will chime in with a few trite tips about criminal strategy, but these supposedly expert insights all just sound like pointers he's heard from old movies and none of them are particularly interesting. Likewise, the narration is also used to flat-out explain certain plot points, character motivations, and transitions, serving as a cheap tactic to keep the story going and fill in blanks because the writers couldn't come up with a more organic way to clue us in on key information. And honestly, it's not like the plot and characters really need all that much explaining in the first place. One dimensional and clichéd, the protagonists and antagonists are all just stock archetypes -- the honorable thief, the veteran criminal mentor, the moody teenager, the crooked cop, the intimidating mob boss, etc. -- and outside of the central father/daughter arc there isn't a shred of development to be found. 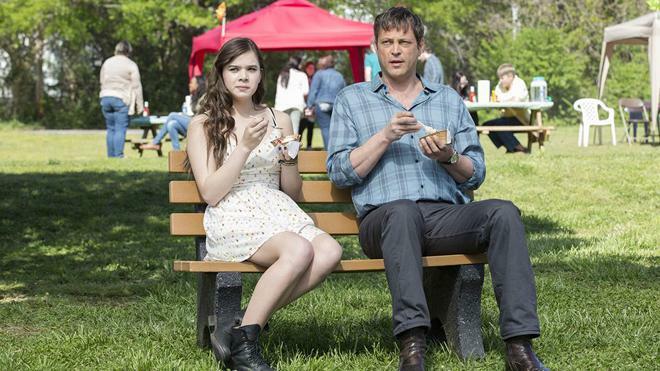 With that said, this familial storyline is decent, thanks in large part to Vaughn and Steinfeld's solid chemistry. Much of the film's mid-section involves the pair bonding while on the run, and these scenes are decent enough -- though even understanding Barrow's "hiding in plain sight" strategy, it does seem rather weird that the duo decides to spend their time laying low from murderous criminals by swimming, eating ice cream, and riding a Ferris wheel at a carnival. Director Peter Billingsley (yes, that's Ralphie from 'A Christmas Story') tries to liven the script up with a few shootouts and chases, and while these action sequences carry a moderately effective sense of excitement, they aren't terribly well-staged. In fact, the whole film has a faintly made-for-TV aesthetic with point-and-shoot coverage and no distinct style of its own. And beyond Vaughn and Steinfeld, the supporting cast is sorely neglected, essentially wasting a talented ensemble -- including Bill Paxton, Jonathan Banks, Terrence Howard, and Shea Whigham -- on thankless cardboard cutout roles. Poor Taraji P. Henson is even relegated to nothing more than a fleeting cameo as a life insurance representative who sells Barrow a policy to provide for his daughter, and considering the title of the film, one might think that her character and the insurance subplot might come back into play at some point… but they're never mentioned again. Despite a strong cast, 'Term Life' simply meanders throughout its runtime hitting tried-and-true beats with pedestrian direction and plotting. Outside of one really bad haircut, this is a flick that manages to leave no lasting impression whatsoever -- and while that might be a good thing for a robber during a heist, it leads to an overwhelmingly forgettable watch. Universal presents 'Term Life' on a BD-50 Blu-ray disc housed in a keepcase with a cardboard slipcover. Instructions for an iTunes/UltraViolet Digital Copy are included as well. After some skippable trailers, the disc transitions to a standard menu. The movie is provided with a 1080p/AVC MPEG-4 transfer in the 2.40:1 aspect ratio. Marked by a generic visual style, the image is technically proficient but a bit dull and flat. Shot on the Arri Alexa and Red Epic Dragon, the digital source is clean and free from any troublesome artifacts outside of negligible grain-like noise. Detail is very solid, exposing every awful strand of Vince Vaughn's terrible hairstyle along with fine textures in various objects and locations. With that said, the picture has a comparatively soft look that lacks much in the way of dimension. Colors veer toward the dull side with a cool cast and a slightly washed out look. Likewise, contrast appears a bit overexposed and black levels are a hair elevated. 'Term Life' looks just fine on Blu-ray, but the made-for-TV aesthetic and lack of depth don't offer much to get excited about. The film is presented with a DTS-HD MA 5.1 track, along with optional English SDH subtitles. Much like the video, the audio is perfectly serviceable but lacks the layered sense of immersion found on better mixes. Speech and narration are crisp and well prioritized, though that doesn't make the banal voice over or trite dialogue any easier to stomach. The soundstage has a solid sense of atmosphere, spreading appropriate ambiance and music cuess around the room. To this end, select effects, like passing cars, blaring sirens, and general street noises move from speaker to speaker with natural imaging and directionality. With that said, surround use is minimal and the design work lacks convincing texture, making some locations sound a tad underdeveloped. Thankfully, more action heavy scenes do perk up, sending whizzing bullets to the rears while engaging a few decent LFE cues during explosions and chases. Some sequences are livelier than others, offering a few splashes of relatively aggressive effects work, but by and large, 'Term Life' feels a little sparse and restrained compared to more robust action flick mixes. A Family Affair: Making Term Life (HD, 3 min) – Presented in 1080p with Dolby Digital 2.0 audio, this is a quick and shallow behind-the-scenes featurette with some fluffy cast & crew interviews. The participants talk up the production well enough, but this is just too brief to offer any real insights. 'Term Life' is a clichéd and dull crime thriller. The flick tries to find an emotional story through its father/daughter subplot, but the movie's overwhelmingly generic plot and style drag it down. On the technical front, the video and audio are both very solid but unremarkable. For supplements, all we get is a thoroughly disposable featurette, rounding out a disappointing disc. This is one release that most viewers will want to skip.